Standing at over six feet tall, 27-year-old Charl Jensel wears a broad smile and an afro hairstyle. Five minutes into our conversation, he’s grinning, cracking jokes and appearing to be content and motivated by the sport he loves. Charl describes himself as a lucky one. Skateboarding saved him. 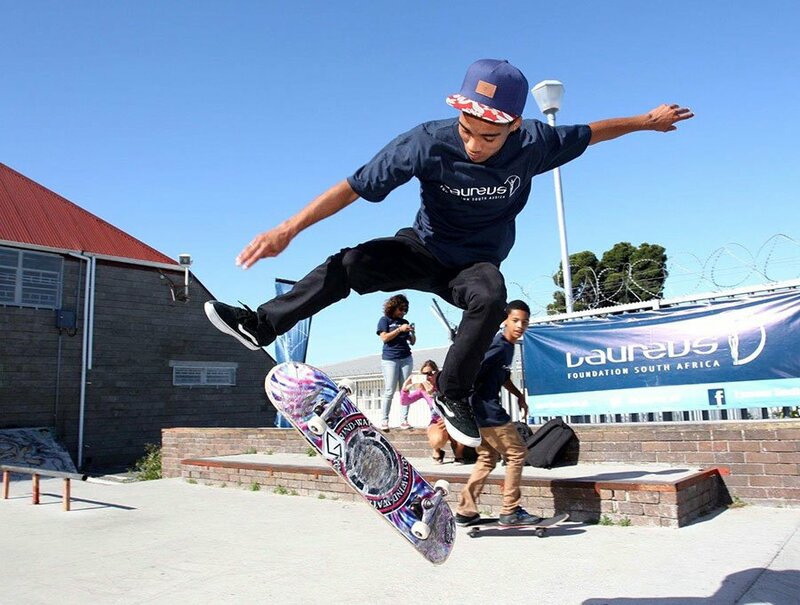 Today, he oversees the work of the Indigo Youth Movement in the Western Cape, a Laureus-supported programme which teaches life skills through the sport of skateboarding in both Durban and the Western Cape in South Africa. In the communities in which the programme runs – mostly densely populated township areas – life is tough and sport is powerful. Charl goes on to provide proof. He sees himself as a ‘big brother’ for the youngsters in the programme and talks candidly about an incident which happened recently. “A sixteen year old kid got shot dead, he was part of the programme,” says Charl, his voice suddenly sombre. “About a month or so before it happened he started missing sessions at the programme and hanging around with the wrong people. At the moment gang war is taking place in our communities. He got shot down on the spot, mistaken for someone else. “I started on the kerbs, man,” Charl says, discussing his first footsteps on a skateboard. Skating gave him goals, an opportunity and a way out of the community he was in. Top South African skateboarder Dallas Oberholzer, who ran the Indigo Youth Movement in Durban got in touch and asked him to start something positive in his own community. At first, he declined. “I had a closed mindset; I didn’t think skateboarding was a sport, I didn’t realise the power it had.” After a visit to meet Dallas, Charl’s eyes were opened, his mind was made up, he was going to start giving back and making a difference. Through being involved in Indigo, Charl was involved in the Laureus Youth Empowerment through Sport (YES) programme, an initiative to empower young people to become leaders, teaching valuable life lessons through sport. Through his shift in mindset, Charl himself returned to education. Growing as a skateboarder and mentor to young people, his eyes were opened up to opportunities around him. “I felt like there was something missing,” he recalls. After speaking with his parents, he received the support he needed and returned to college to complete his studies, two years after setting foot on a skateboard. 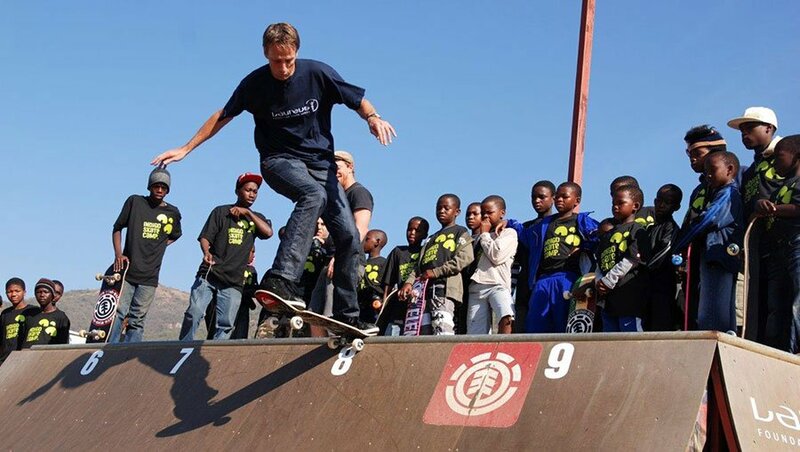 Laureus Academy Member and Skateboarding legend Tony Hawk has a special affiliation to Indigo Youth Movement, visiting the project on two occasions to find out first-hand the impact it is having on young people in the local community. “It gives them self-esteem, helps them in their careers. I also think just the act of skating can teach so much about self-confidence, self-motivation and overcoming your own challenges, as oppose to only participating in team sports, where you are relying on the team or relying on the coach to tell you what to do. That is an important aspect of maturing, but I think the idea that skating is as much a form of self-expression as it is a sport and an art form is as important as well. Charl is philosophical about the future of the programme and his goals and aspirations for the young people in the communities he works with. “I’m just stoked that I can change these kids’ lives. They learn things every day and that’s very important, that’s how you grow. The Indigo Youth Movement is the brainchild of Dallas Oberholzer, whose background in international skating competitions inspired him to create opportunities for young people to learn about skateboarding. The project has introduced young people to skateboarding and created an opportunity to increase the youngsters’ life-skills and self-confidence. The Laureus Sport for Good South Africa supports 16 projects across the country and since its inception in October 2002 has raised over R50 million (2,9 Mio. EUR) for projects which have helped to improve the lives of over 90,000 young people up until 2016. 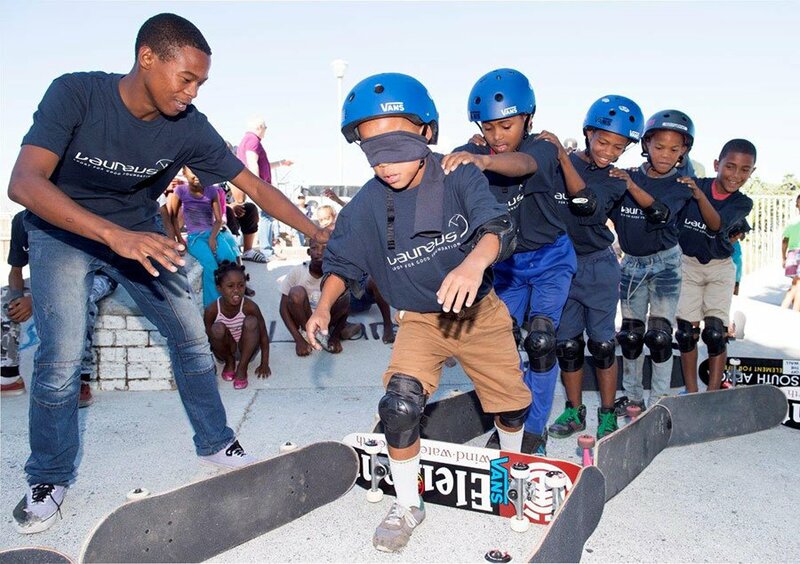 Are there any places around durban or hillcrest that offer skateboarding lessons for 7 year olds?